Super Smash Bros Ultimate is bringing the long-running fighting game series to Nintendo Switch. There are more fighters to choose from than ever before, with plenty of new faces joining the veterans. And to help you get settled in with the new roster, we figured it would be a good idea to put together character guides for every single fighter. In this Super Smash Bros Ultimate Rosalina & Luma Guide, we’ll be taking a look at Rosalina & Luma. We’ll detail the changes that have been made since the duo’s last appearance. There will also be some info on their Final Smash and Alternate Costumes. Rosalina & Luma are back for Super Smash Bros Ultimate. They last appeared in SSB4, where they made their spectacular debut. They’re a bit of an oddity, given that they are two characters that control as one. There have been a number of tweaks to the way Rosalina & Luma handle, which we’ll be outlining below. 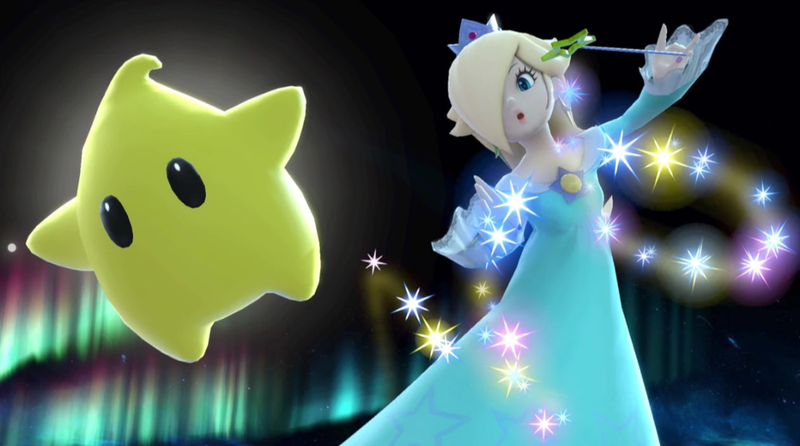 Rosalina & Luma act as a duo in Super Smash Bros. Ultimate, with you playing as Rosalina, while Luma joins in with your attacks. In the table below, you can find a complete list of all the moves that the pair can pull off. As we mentioned before, there have been a number of changes since Rosalina and Lumo last featured in a Smash Bros game. We’ve listed all of the ones we’ve noticed below, from alterations to animations, to changes to the Final Smash. Several animations have been altered including jumpsquat, sidestep, airdodge, and Power Star. Final Smash has been changed, more on that later. Shield now protects Lumo as well as Rosalina. 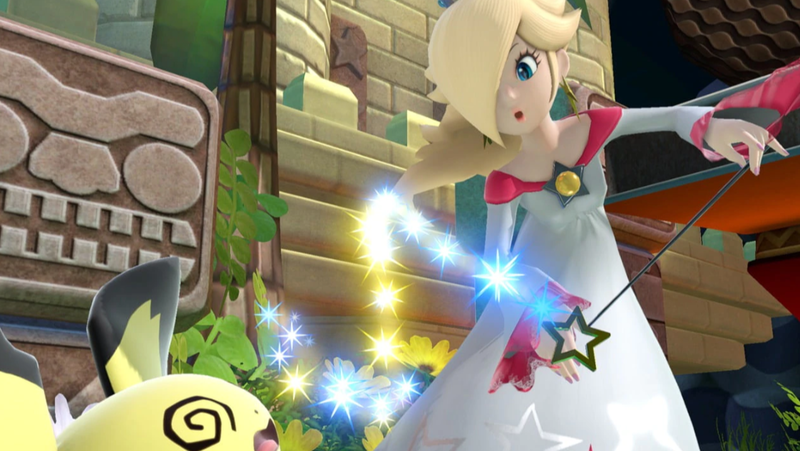 Rosalina and Luma have some pretty awesome Alternate Costumes for players to choose from. Pink, yellow, green, red, purple, black, and white versions are all on offer. You can check out the white variant in the image embedded above. Rosalina & Luma have a new Final Smash called Grand Star. It’s very similar to their last move, and sees a giant Luma grow and grow while dealing damage. You can check out some footage of Grand Star in the video embedded above. That’s all the details we know about Rosalina & Luma in Super Smash Bros Ultimate. We’ll be updating this guide with more details as we get them. For more info on other aspects of Super Smash Bros Ultimate, head over to our Super Smash Bros. Ultimate Guides hub. There’s trailers, a look at the Ridley amiibo, and more.